The women range in age from the mid-60s to the early 80s. They love to dance and sing. And twice a week, they come to a gym in Cosmo City, on the outskirts of Johannesburg, to box. 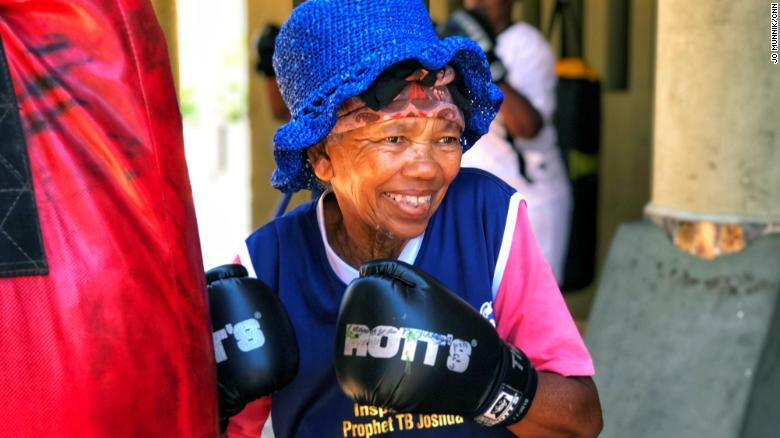 They are affectionately known as South Africa’s “boxing grannies,” and these women are juking and jabbing their way to healthier lives. Constance Ngubane says she feels less like her 80 years and more like age 16 when she’s boxing. For these women, boxing is as much a social activity as it is a physical one, and it is that combination that can boost the benefits of exercise. A study from the Mayo Clinic found that physical activities with more social interaction were associated with a longer lifespan. The social aspect of longevity has long fascinated researchers, gaining attention alongside more tangible measurables like diet, exercise and smoking. Gladys Ngwenya, 78, smiles during a boxing session at a gym in Cosmo City, South Africa. Mable Makhosi, 68, has seen it, too. She has noticed a change in her health since she started coming to the gym to box four years ago; in particular, she has seen improvements with her diabetes and blood pressure. 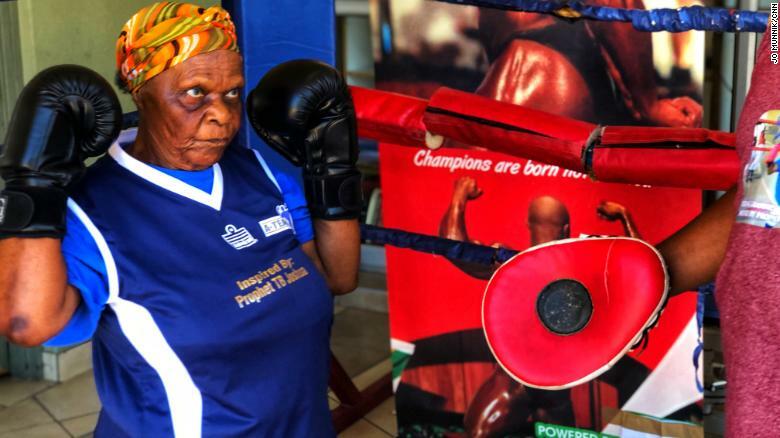 The boxing grannies have been coming to a gym on the outskirts of Johannesburg twice a week since 2014. Claude Maphosa, one of the visionaries behind this project, has watched the grannies transform since the program began. The Cosmo City gym has helped fill a void for the elderly community there, keeping them active and motivated. 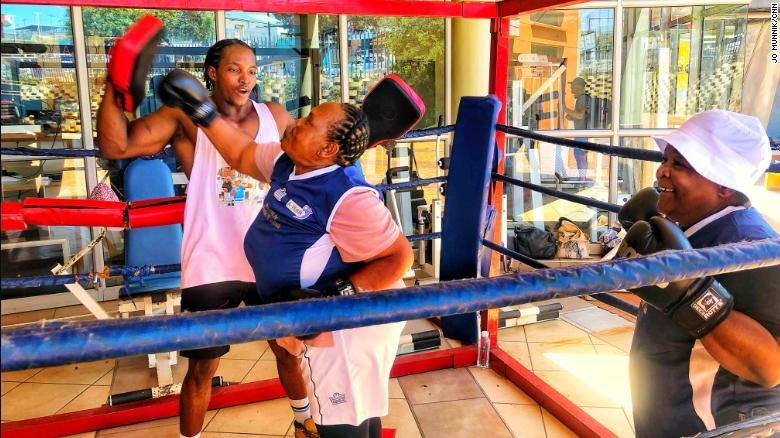 At half the age of the women he trains, Maphosa is also taking in life lessons, perhaps gaining as much — if not more — from the grannies as they are gaining from his gym.